Spray droplet size is key to effective coverage and precision. It has to be consistent. It has to fit the crop. It has to applied at the right rate and pressure. Now you can choose the right droplet size for your application with ExactApply. The right drops for the right crops. 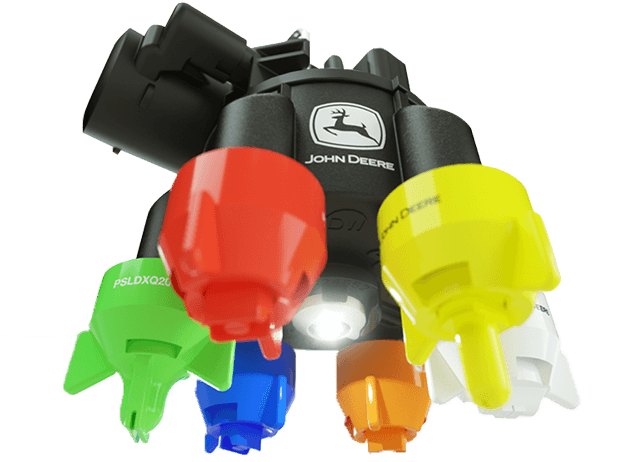 With individual nozzle control, ExactApply delivers the precision at all spray speeds for better weed and pest control that allows you to manage any potential drift. Plus vary rates across the entire boom for greatly reduced overlaps and skips, especially around critical border areas, waterways or sensitive crops – while maintaining droplet size throughout the rest of the field for effective control.